At NASA’s Kennedy Space Center in Florida, members of the Damage Assessment Recovery Team inspect the roof of the utility annex to the Vehicle Assembly Building. Much of the roof came off the facility’s electrical room which provides air conditioning to the VAB. A center-wide survey was performed to identify structures and facilities that may have sustained damage from Hurricane Matthew as the storm passed to the east of Kennedy on Oct. 6 and 7, 2016. Kennedy Space Center Director Bob Cabana and Disaster Assessment Recovery Team (DART) Chief Bob Holl briefed members of the news media about the center’s efforts to recover from Hurricane Matthew. Just prior to impacting Florida’s Space Coast, Matthew was downgraded from a category 4 to a category 3 storm with winds at 115 miles per hour. The eye of the hurricane passed 20 to 25 miles off Cape Canaveral Air Force Station, with Kennedy’s Launch Pad 39B near the edge of the eye experiencing 86 mile-per-hour winds. Pad 39-B is where NASA’s Space Launch System rocket will boost the Orion spacecraft to destinations such as an asteroid and Mars. As Matthew approached, NASA closed the center at 1 p.m. EDT on Oct. 5 ahead of the storm’s onset and only a small team of 139 specialists, known as the Ride-out Team, were on the center as the storm approached and passed. The center director also described video shot during an aerial assessment on Oct. 8. 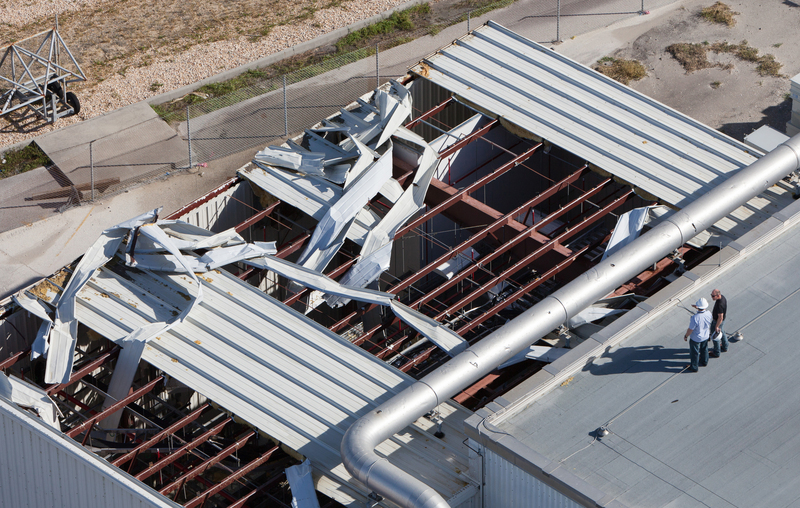 The survey found several buildings with roof panels that had been blown off. “That resulted in water intrusion in those facilities,” Cabana said. He also noted that some beach erosion took place near both Launch Pads 39 A and B. Crucial spacecraft processing buildings also were reported to be in good shape. Holl also expressed appreciation for the professionalism of both the Ride-out and DART teams. Holl explained the work of the DART team is simple, but crucial. Cabana pointed out that assistance came from many areas. Getting Kennedy back to work is Cabana’s goal. Previous Previous post: Kennedy to Open Tuesday at 6 A.M.